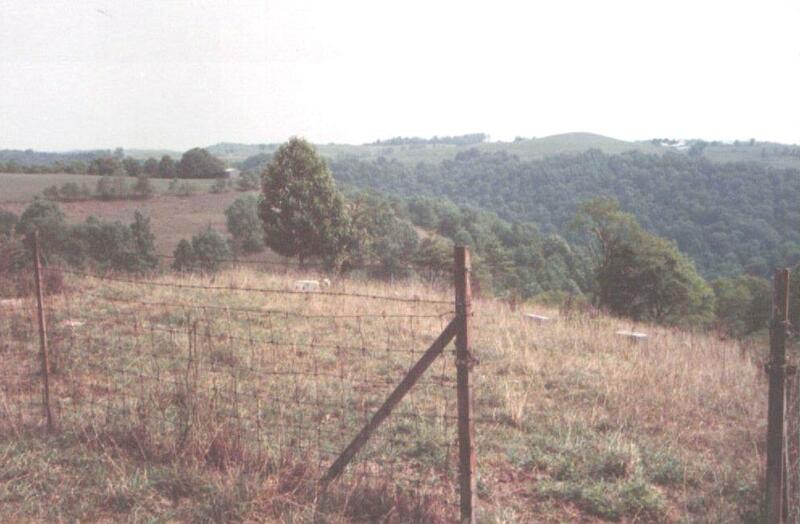 This family cemetery is at the top of Miller Run on the original William Miller Farm, sold to the Knapp family. It was fenced in but cows have over run the fence and it is decay. There are many people buried there without stones or the stones have deteriorated. To reach the cemetery from Route 7 near Uniontown, take Rte 8 through Dean and through Endicott. When you pass Endicott going up Kirk Ridge, proceed to County Rte 1/23, turn left, unimproved road. (This road originally crossed Rocky Run through the Matthew Carney Mill, and is no longer passable.) Proceed on CR 1/23 a short distance until you come to a clearing and a fence on the left. Open the gate and drive out on the top of the ridge. 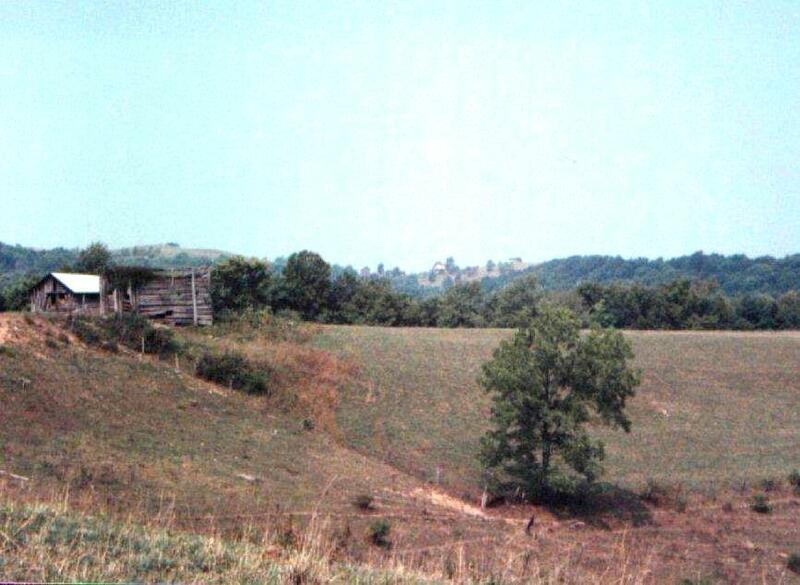 On the left you will see the ruins of a log cabin barn and on the right you will see the remains of a cemetery once fenced. This cemetery was read by Arthur Miller and submitted by John Hess Johnson. 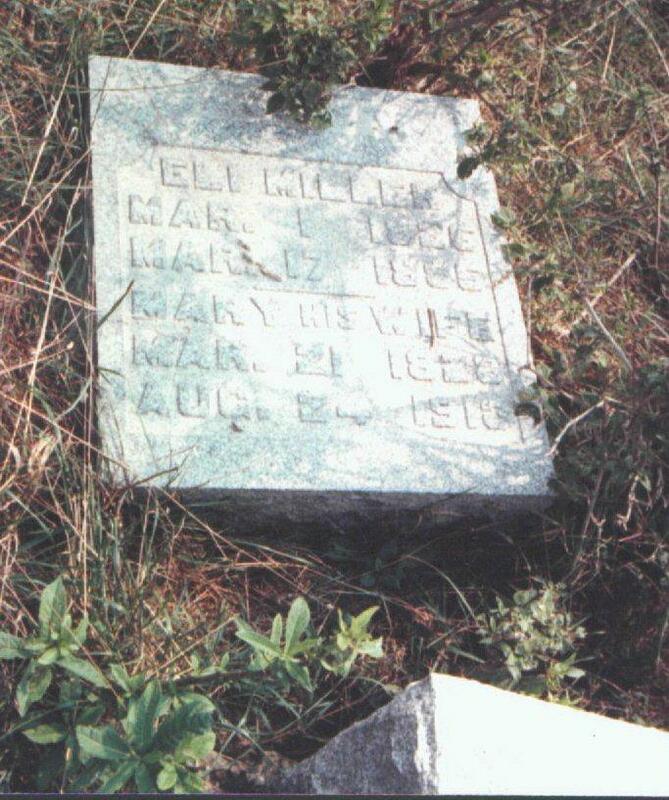 McHenry, Margaret 5 Mar 1822 21 May 1881 w/o Wm.